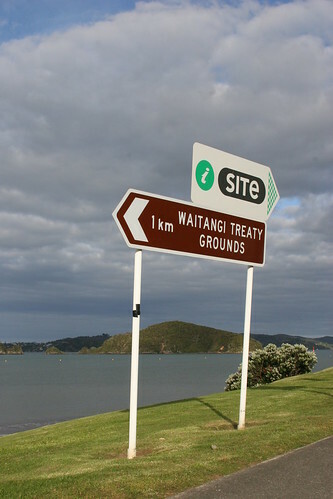 Treaty of Waitangi Settlements, edd. Nicola R. Wheen and Janine Howard, Bridget Williams Books with the New Zealand Law Foundation, 2012; 283 pp. At the very best, no case is ever so clear. This book is a political tract masquerading as an academic treatise. Your reviewer must declare himself guilty of long held and intellectually respectable doubts about the legitimacy of much of the Treaty industry. But every book written on the Treaty is a political book. The only difference is that some books are open about their underlying beliefs, and most are not. This one is not. It is just another intellectual prop to support the next stage in the never-ending demanding-with-menaces which our race relations increasingly resemble. No ineluctable universally-accepted principle can be discerned supporting the essayists’ demands. Their arguments, such as they are, entirely beg the question. The Treaty has evidently attained that mythical status whereby it can be safely assumed, without any need of explanation, to justify any desire projected upon it. A further full and final settlement? Not a problem. More funding? You betcha. Some more land? Why not? Constitutional change is definitely on the foreseeable agenda, with some very exciting possibilities floated by far-sighted Maori visionaries. There might very possibly be an end to the sovereignty of parliament, which, although a cornerstone of democracy, can result in ‘further injustices through judicial deference to Parliament’. We can’t have that. It is interesting, to say the least, that the judiciary is now considered to be sufficiently pro-Treaty to make it a likelier future bet than an increasingly unsympathetic House of Representatives. The issue of Treaty claims and settlements has been an increasingly prominent and many would say worrying aspect of our national life for the last two decades. It excites strong opinions and emotions on all sides. If some residual racism may linger on one side, there is surely also on the other side the serious possibility of powerful interests wanting to capture, both politically and intellectually, a very lucrative long-term source of the ready. Yet this book contains not the slightest acknowledgement that any good reasons ~ of historical fact, of justice, egalitarian principle, legal or moral argument, of the terrible dangers an increasingly divided and impoverished country faces in an increasingly turbulent world ~ might exist as to why the policies of the last couple of decades should not be applied with vastly greater determination. One contributor lets slip the candid admission that ‘there is little evidence that settlements have had much impact on the wellbeing of the general Maori population’. What on earth are settlements for then? The improvement of the condition of Maori used to be a major justification. Is there a new justification? Where did all that wealth go? It went somewhere. But this point, surely deserving a central place in settlement thought, is regarded as unimportant. The settlement is the thing. Assuming, as I do, that the editors sincerely regard themselves as conscientious and fair-minded persons respectful of all legitimate shades of thought, we are forced to conclude that our nation’s leading intellectual life is at the stage where to doubt serious quasi-binding obligations of continuing and increasing generosity to a small racially-defined elite is simply intellectually out of the question. That being so, and your reviewer failing to meet those specifications, the following remarks need not be taken seriously. One could read this book without being aware that anyone actually lived in New Zealand apart from Maori and ‘the Crown’. 85% of the population is consistently disregarded, as being completely irrelevant to the settlement process. A legalistic approach that speaks only of settlements with the ‘Crown’ fails to recognise that we now enjoy constitutional government and representative democracy, where the ‘Crown’ is not some distinct legal person or force, but rather ‘the Queen’s government’, elected by the people. Parliament has captured the Crown. The Queen does what her Ministers tell her to. Money and assets used in Treaty settlements do not come out of a secret hoard Her Majesty has secreted in a castle somewhere in the old country, but out of the pockets and publicly-owned resources of claimants’ fellow-citizens. Might not their point of view, now and in the future, be worth a mention? A book with an entire section on ‘the context of Treaty settlements’ has genuinely failed to notice a very large elephant in the room. ‘Maori identity’ is treated only superficially. The work of Professor Elizabeth Rata, for example, who has argued that present-day iwis are very different from living nineteenth century tribal entities, and that modern iwi corporations are just capitalist corporations like any other, is nowhere mentioned. Her name does not even appear in the bibliography. The discussion of identity objects to ‘imposed’ attempts at definition, but offers little alternative except self-definitions obviously susceptible to abuse. It is considered unreasonable that claimants should have to identify themselves as qualified and deserving before making demands are made on the public purse. Pretty fundamental questions about who might be a claimant, defined by what means, and for what past injustice exactly, are hardly touched upon. Figures given for Maori land ownership completely ignore the large amount of ‘general land’ owned by those of Maori descent. More than once, some important and interesting issue is mentioned only in passing and never heard of again. Sir Apirana Ngata and Sir James Carroll, we read, were ‘modernisers’, who believed that the way forward lay in an accommodation with the European world. Might they perhaps still have thought that? Who knows? Many people object to public apologies to Maori because of perceptions that colonisation brought blessings as well as ills, that the past should not be judged by the standards of the present and that ‘guilt by inheritance’ is objectionable. These arguments surely deserve at least a little consideration, but they are mentioned and dismissed in one paragraph, as the sort of thing that surfaces in ignorant letters to newspaper editors, and are never heard of again. No other contributor even asks the question. Essayists assume that land in 1840 ~ untouched, unproductive, remote, without infrastructure ~ is worth as much as land is now, after a century and a half of investment of capital, labour, commerce and intellect. Therefore, past purchase prices are automatically inadequate, and present settlements are likewise incapable of being ‘just’. Land confiscations after rebellion were ‘racist’, because no-one other than rebel Maori underwent them; Maori Land Court alienations are just another form of confiscation; and then, to cover all bases, we are informed that ‘many settling groups do not see a distinction in the manner by which land was lost. Instead, they often focus on the extent of land lost.’ Well, they would say that; but that approach means, essentially, that all alienations of Maori land have always been objectionable. Settlements so far, then, are no more than a small beginning. One contributor suggests that settlements ‘reinvent’ rather than ‘attenuate’ state power, but that is considered a matter for complaint. The Crown-Maori relationship, with non-Maori invisible somewhere down below, will always be there, and will always require a lot of attention and improvement. We must be grateful to the editors for spelling this out so clearly, even if in a book which will be read only by claimants and their advisors seeking useful ammunition. It is a great pity that the opportunity was not taken to engage all points of view in a genuine dialogue which might have led to mutual understanding. As it is, this book shows a complete ignorance of the point of view of the majority of New Zealanders, and must confirm their worst fears that the Treaty gravy train, already so obnoxious and so unsuccessful in bringing any benefits to ordinary Maori, is only beginning its long profitable journey, and that the choice we face is between derailing it or being derailed ourselves as a coherent, peaceful and prosperous nation.